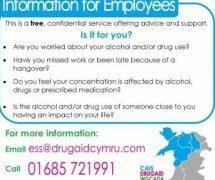 If you’rean employee, or know someone who’s employed and are struggling with alcohol ordrug misuse then the Employment Support Service is here to help. 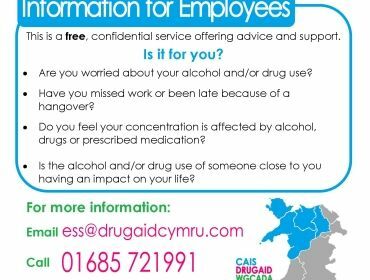 Or, if you’rean employer, or know someone who’s an employer and they’ve confided in you thatan employee of theirs is struggling with alcohol or drug misuse then the EmploymentSupport Service is here to help them, too. 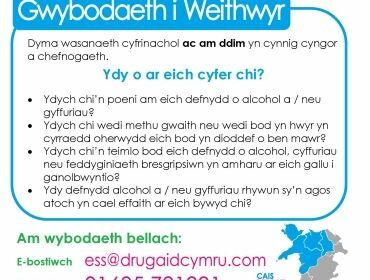 â€¢ You’reworried about your alcohol and/or drug use? â€¢ Have youmissed work or been late because of a hangover? â€¢ Do you feelyour concentration is affected by alcohol, drugs or prescribed medication? â€¢ Is thealcohol and/or drug use of someone close to you having an impact on your life? 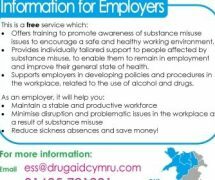 â€¢ Offerstraining to promote awareness of substance misuse issues to encourage a safeand healthy working environment. 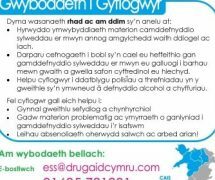 â€¢ Providesindividually tailored support to people affected by substance misuse, to enablethem to remain in employment and improve their general state of health. 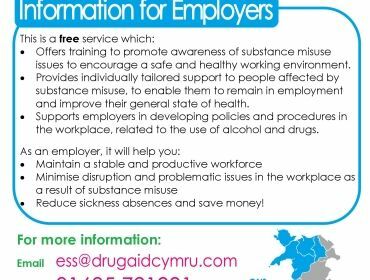 â€¢ Supportsemployers in developing policies and procedures in the workplace, related tothe use of alcohol and drugs. â€¢ Reducesickness absences and save money! 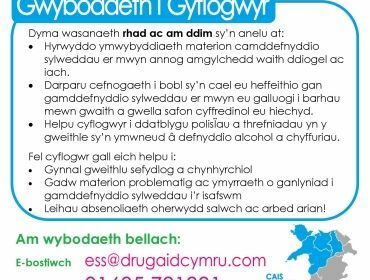 Have a readof the bilingual posters attached to the left of this article for moreinformation. 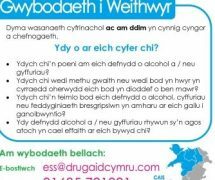 Don’t letalcohol and drug misuse hinder your future or your employees’ future.